It’s time to kick off 2019 the right way – join the government tech community at the 2019 Ice Breaker Cyber Smoke. This year, we’re firing up the fantastic – Intelvative and MeriTalk are partnering to enhance the experience for our government and industry attendees. Not smoke and mirrors – Smoke and MeriTalk. Cyber Smokes are a very special networking tradition. One of the few remaining cigar-friendly venues, Morton’s heated deck allows you to puff away in all seasons. Cyber Smoke features complementary appetizers and a cash bar with Happy Hour specials extended into the evening. 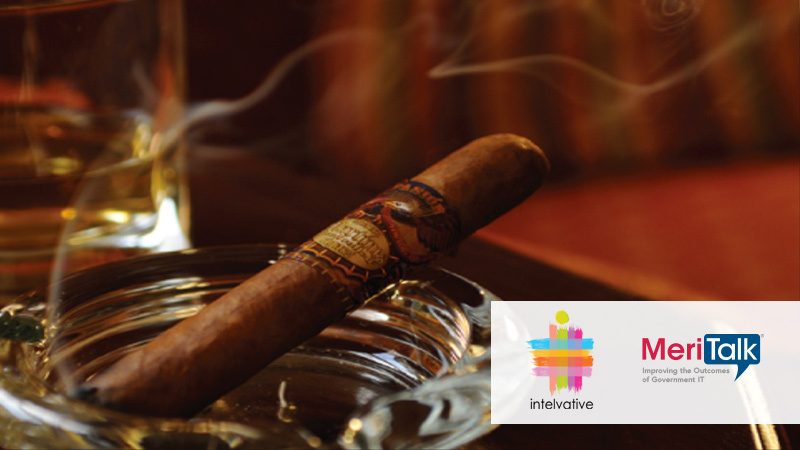 Bring along your favorite cigar, meet a stranger, walk away with new acquaintances. The 2019 Cyber Smoke Series is sponsored by Anomali, BMC, Cynergy, Endgame, Max Cyber Security, McAfee, Recorded Future, Shorepoint, StackRox, Trustwave Government Solutions, and Veeam.